I’ve missed catching up with my patchwork groups for the past three months or more. We meet twice a month and, although I rarely manage to go to a weekday meeting, I do try to go to the Saturday meetings, but it has just not been possible for the past few months … I’ve either been out of town, or working, …. and I’ve missed the company. One year we cut up a piece of wrapping paper and each member had to translate her piece into a textile representation. 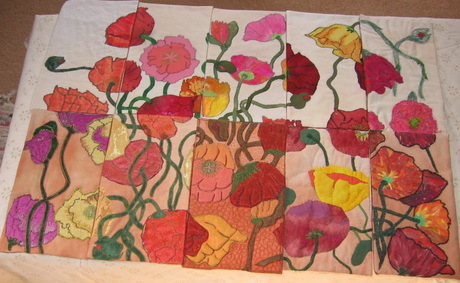 We were very pleased with the way the finished pieces came back together in fabric. Over the years we have made quilts for each other, shared workshops, gone on shop hop road trips and had weekends away but just spending a day together relaxing and sharing ideas and stitching is so refreshing. 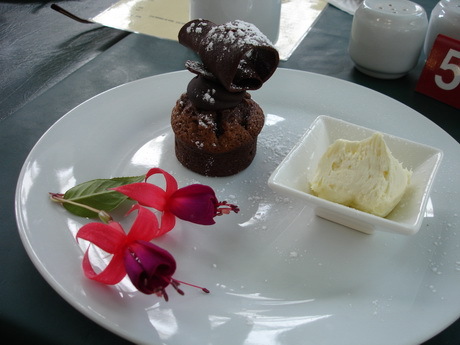 Some years we hold our Christmas lunch at someone’s home and others we go out to a cafe. We do have our own private blog, where we can share photos of our stitching, or family events, in between meetings but there is nothing quite as good as sitting with a group of women over a cup of tea (or coffee in my case), enjoying a cake while stitching and talking. 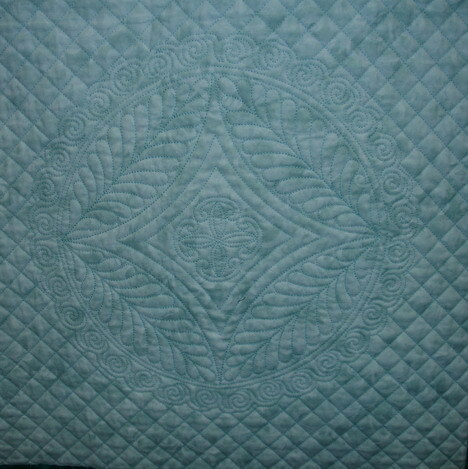 My quilt, made by the members during our “row by row” challenge. So Saturday was a treat for me! I got to catch up on the news in person, meet a new member to our group and generally relax with like minded company. Bliss! 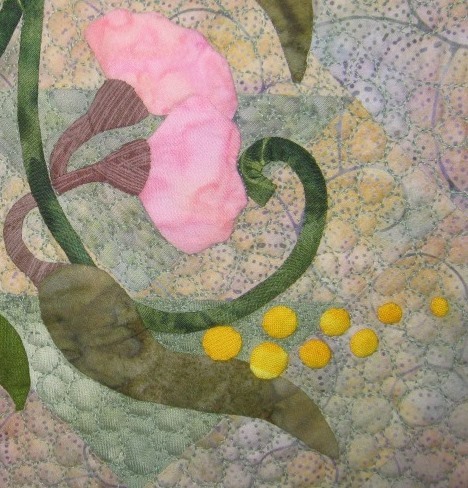 Do you have a patchwork friendship group? 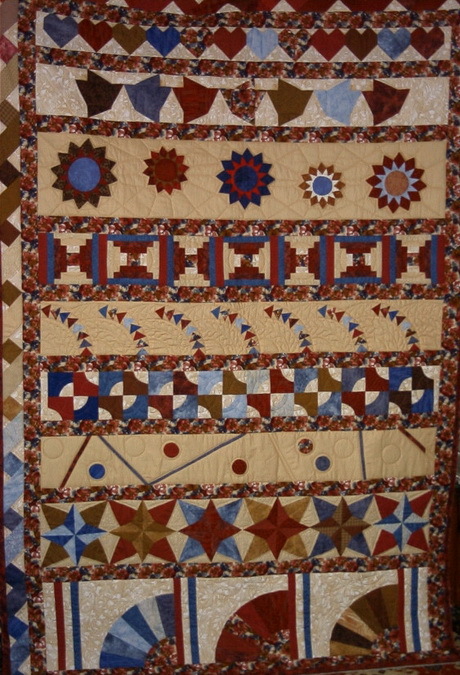 Have you, like us, set yourselves challenges or made share quilts and round robins? 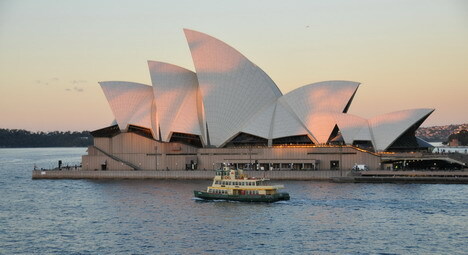 Despite being one of the short months in the year, June felt much longer than usual as I managed to fit an extended trip to Sydney into the usual everyday business activities. 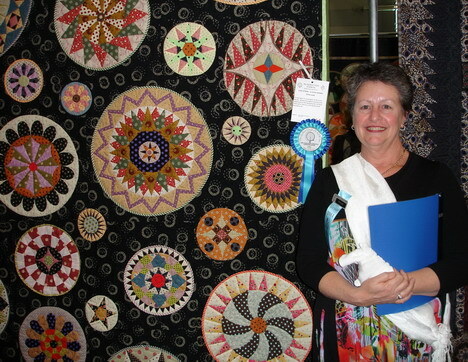 The original reason for the trip to Sydney was the annual Quilt & Craft Expo. 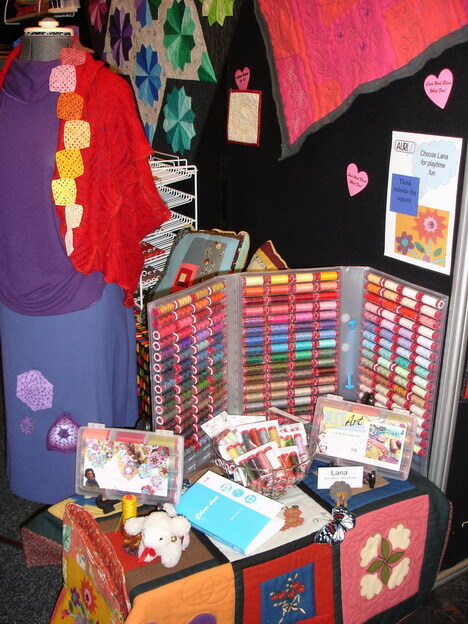 This is the wholesale trade fair for textile crafts, where you find distributors for patchwork fabrics, threads & craft tools, pattern designers & button makers all showing their wares. It is a great opportunity to network with the business side of the craft industry, a place to meet other shop owners from around Australia, talk to the designers and get inspirational ideas to take home. 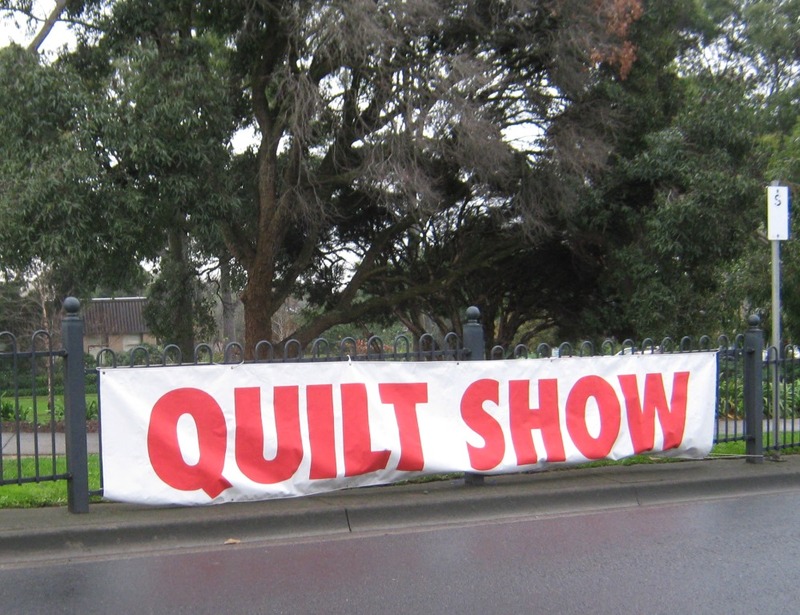 I stayed in Sydney for the week after the trade show to visit some of our Aurifil retail outlets, so I had an opportunity to attend the Quilt Exhibition for the first time in many years. Wow! 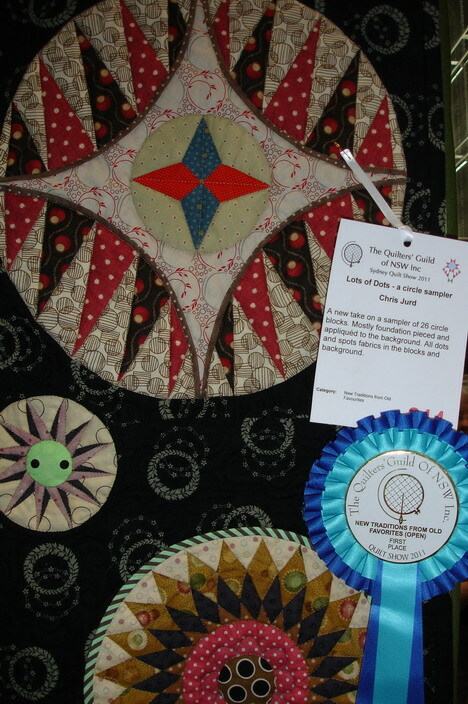 There were some very beautiful quilts on display and I was particularly excited to recognise the names of Aurifil customers on some of the award winning quilts. 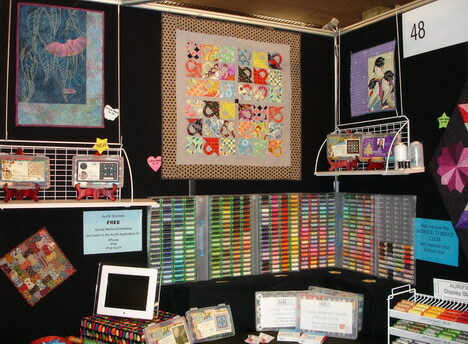 Chris Jurd is a well known designer & teacher in the NSW patchwork world. 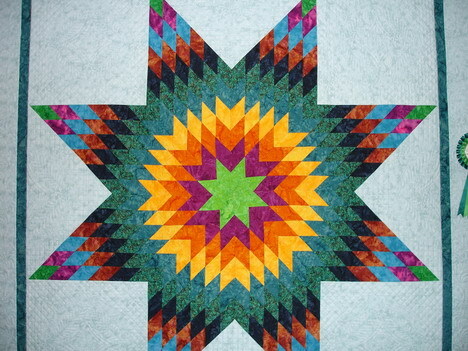 This wonderful quilt won first place in the “New traditions from old favourites” Open category and is just spectacular in real life. Chris enjoys foundation piecing designs that look complex, and she says that Cotton Mako’ 50 is ideal for this type of stitching. 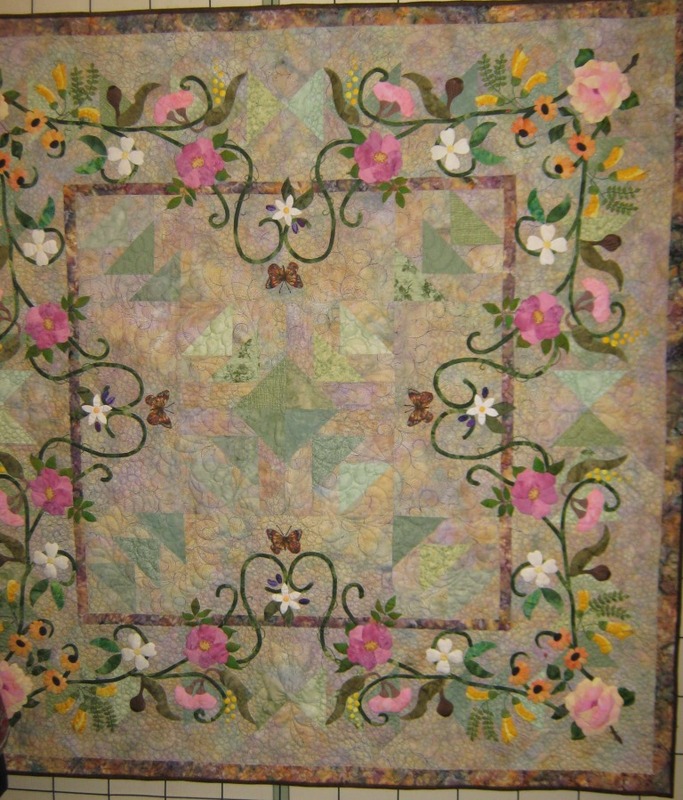 You can join classes, taught by Chris, at the Cottage Quiltworks in Warriewood, Berrima Patchwork in Berrima, Home Patch in Bathurst and Hobbysew Wollongong and Kings Park. 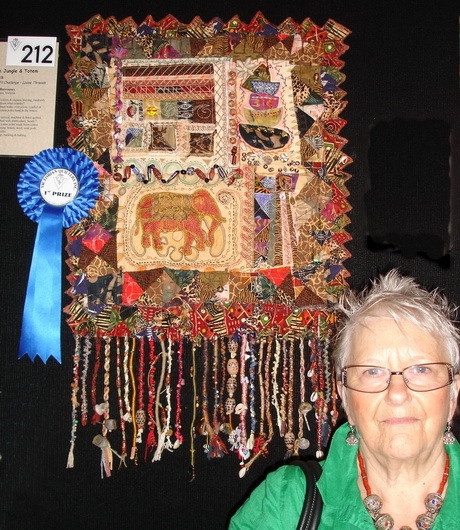 Sharon owns Morning Star Quilting, a machine quilting service at Avoca Beach and has been the recipient of many awards since she started Longarm quilting in 2006. You have to agree that the fine detail in the feathers and cross hatching look very pretty stitched out with Cotton Mako’ 40. 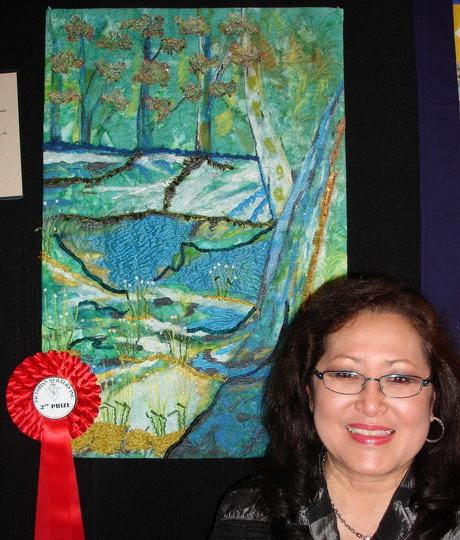 Sharon won fourth place with this quilt in the “Traditional Professional” category. 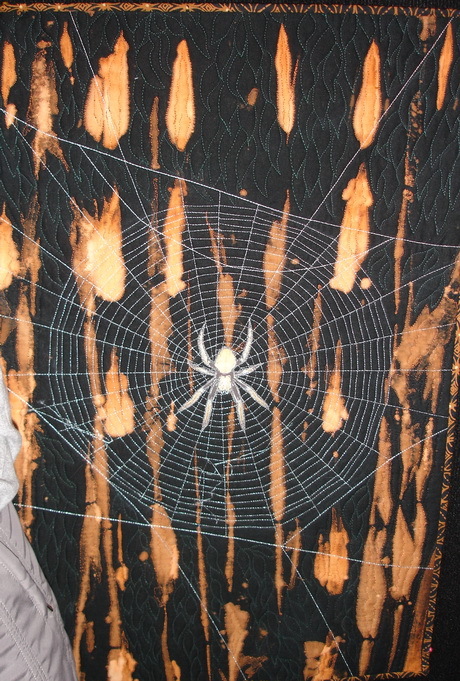 Two more quilts that had the “Wow” factor for me, were made by Catherine Butterworth. 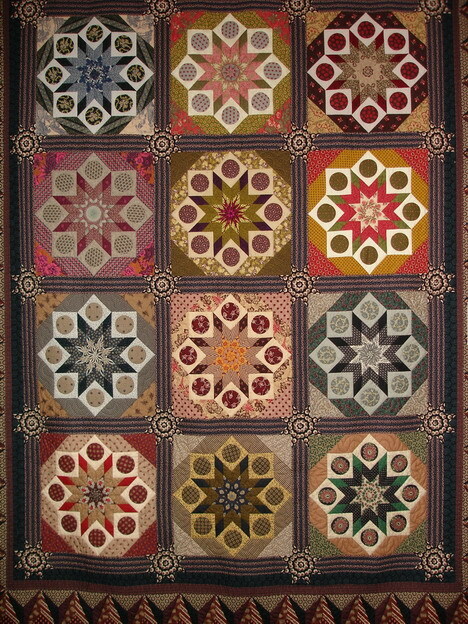 When I saw the first quilt, “Hexagon stars for Ulladulla” I loved the complexity of design and colour. Catherine's quilt "Hexagon Stars for Ulladulla"
Then several aisles later I found this quilt, also by Catherine, called “Googly Eyes”, named after the effect created by the fussy cut fabric in the sashing stars. Catherine's quilt, with the fussy cut "Googly Eyes"
If you are interested in taking classes with Chris Jurd or Catherine Butterworth please send me an email request for their contact details. 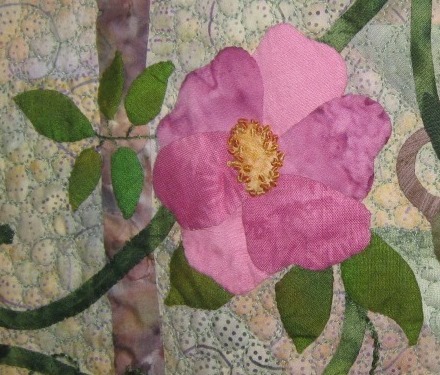 You can see all the award winning quilts for the 2011 exhibition at the Sydney Patchwork & Quilting Guild website. 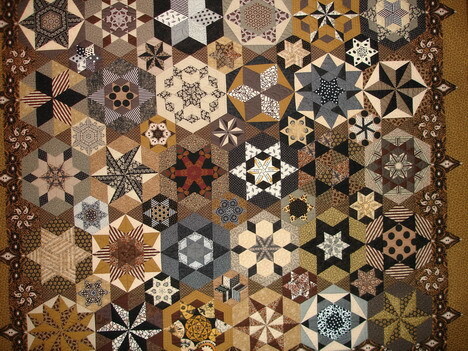 Go to the website to see the full colour range, or to purchase Cotton Mako’ to make your own wonderful quilt.